As a way to potentiate the talent recruitment from companies and to promote our student’s practical learning, ESDi has a series of agreements and collaborations with companies and entities, not necessarily dedicated to the design field, but with activities that are strengthened by design. Behind every subculture there is not only an aesthetic, a way of dressing and standing out, but also a series of historical, social and even economical aspects that configure every social movement. In order to understand these processes, ESDi developed an agreement with the firm Harley-Davidson, through the company ITB dmc- Destination Management Services in Spain, that nurtures the company with direct contact to European creative talent, and that facilitates our students’ comprehension of aesthetic and collective identities. In the first stage, the collaboration promoted the constitution of a multidisciplinary team consisting of students from different Design Degree itineraries, that worked on the redesign and customization of clothing pieces by the firm, to be exposed in a showroom for Harley-Davidson buyers. Our location in the heart of Sabadell is one of our most defining elements. Because of this, the collaboration with the city’s City Hall, year after year, has been one of our historical keys, allowing us to contribute in initiatives related to local sustainability, habitational needs and projects of other nature. In 2017, ESDi contributed to the development of a Sabadell brand, to be used by the Sabadell Department of Tourism. Oriented towards de reinforcement of a collective identity by the citizenship, the city brand began with an analytical and research work that identified trends, lacks and opinions of the most representative figures of the city and the population in general. 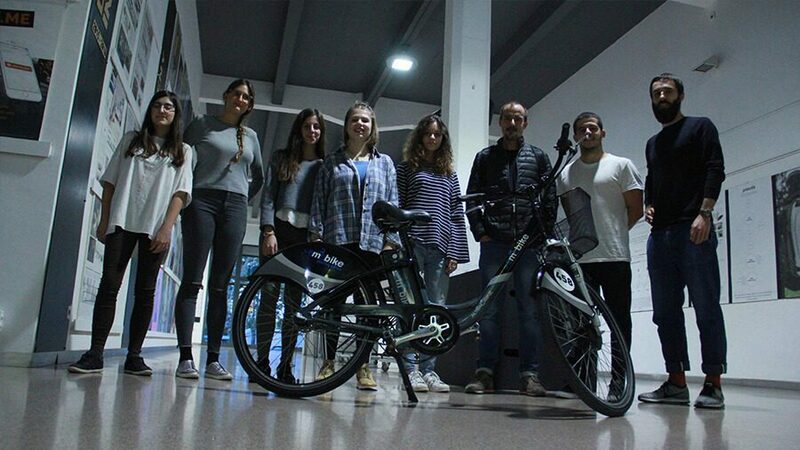 As a part of ESDi’s smart design philosophy, the school promotes sustainable and smart mobility through a collaboration agreement with the electric bike company eMobike. In the classrooms, the sinergy includes work with Product Design students that are centered in analyzing and potentiating the user experience of the product, while in the Design Management (Multidisciplinary Integration) itinerary the students work with new possibilities surrounding the use of the bikes, new development opportunities and business models for the company. Also as a part of our commitment with sustainable mobility and green and circular economy, ESDi Works with the Co-Innovem Sabadell Project, through which our 2nd year students from Graphic Design, Audiovisual Design and Design Management develop initiatives to be presented to the yearly Sabadell City Hall contest. Mutating toward a more business-friendly city, supporting entrepreneurship and retaining young creative and technological talents are some of the focus of the Gen_Y program, which, developed between Sabadell and 11 other European cities, includes ESDi’s collaboration. Thanks to the project of student Helena Mateo, from Design Management (Multidisciplinary Integration), there’s a proposal to generate a local circular economy through creative activities. Technological functionality and sustainability aren’t our only worries as an institution: we also maintain a strong commitment with organizations that work towards social improvement and the optimization of the quality of life of the population. Along this line, our Design Management (Multidisciplinary Integration) itinerary works on the development of strategies for the growth of the Associació Lligam, that helps women who have been in prison and have experienced gender violence beting on their personal growth. The entrepreneurial world is not the only platform for the development of design projects, nor for the exploration and potentiation of our students’ knowlege, The field of research can also be fertile for the creative and intelectual growth of our students. The shapes, textures and structures are not the only elements that define a design. Among them, color is always highlighted as one of the most defining aspects, even if it is, at the same time, one of the most volatile, constantly subjected to the different trends. Working from an inquisitiveness around the role of color and the changing nature of fashion, ESDi created its own research lab dedicated to the definition of future chromatic trends, applied to different design areas. Bianually, this entity, ESDiColor_Lab, has the possibility to share their color proposals in a global framework thanks to its participation in the international color congress Intercolor, a research platform that designs the benchmark color cards of the textile, fashion and product industries. Furthermore, the lab works with the creation of a wearable proposal that, in the intersection between design, dance and technology, can help dancers to interact through the sense of touch. The skirt brand Marola is another of the ESDi_ColorLAB projects, focused on and analysis of the communication channels of the brand and a design proposal for the brand’s catalogue. Considering innovation as key for competitiveness and economic growth, the Europe Strategy 2020 turned Smart Specialization into one of its priorities through the RIS3 project, Research and Innovation Strategy for Smart Specialization. From ESDi, aligned to the technological democratization and the smart turn in societies, we have become part of a strategic project composed of the Sabadell, Barberà, Castellar and Sant Quirze del Vallès city halls, the RIS3 CAT, which frames our Smart Design impulse through training and experimentation. In the context of our participation in the RIS3 CAT, ESDi developed a work center that studies the evaluation protocols of digital products from a user experience point of view. In its first stage, the project is strengthened by our collaboration with eMobike, but the initiative will allow us to generate a service that ESDi will offer to different companies. Together with a group of Design and Business Schools, led by the Laurea University of Applied Sciences of Finland, ESDi participates in the program SEED, Smart and Exceptional Education on Service Design for Latin American Countries. Currently, a project is being developed for the generation of Service Design training proposals, linked to our UI/UX master’s degree.